Auto-Rig Pro is a set of tools to rig characters, retarget animations, and provide Fbx export for Unity and Unreal Engine. Want to try first? Download Mike, free character rigged with Auto-Rig Pro here. Position the reference bones so that they match your character proportions. To speed up this process, the smart tool will automatically try to find the body parts locations for you (bipeds only so far). Then, edit the result if needed (if your character is not a biped/ or for more accuracy), eventually place the facial bones and other extra limbs, and generate the final rig. Based on a non-destructive workflow, the armature remains easily editable anytime after the generation. Check the product documentation and the youtube channel for more informations. 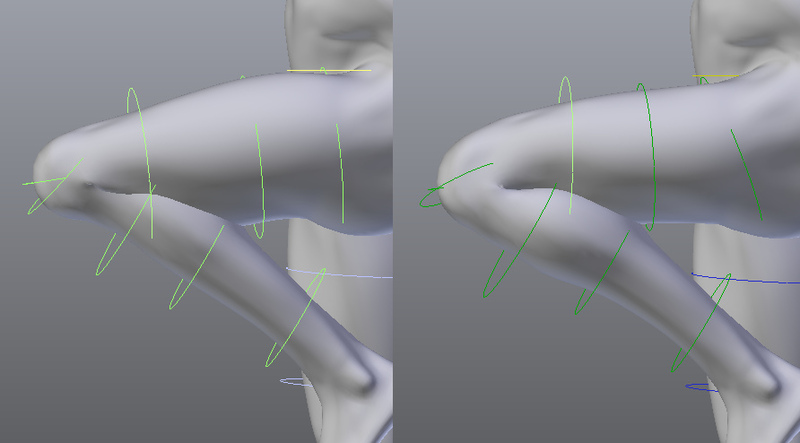 Important note about skinning: If possible, use water-tight geometry for best auto-skinning results. Knowing the bases of Blender's skinning tools, weight painting, to fine tweak the bones influences is recommended. For character made of multiple separate parts, it's best to use the Voxel Skinning addon. Due to recent API changes, Blender 2.79 is required. If you encounter any bugs please report it, be assured you'll receive support/bugfix quickly. Updates are free and will remain free. Also make sure to read the FAQ and the documentation. Customize the rig definition in a few clicks: fingers, toes amount, spine bones, multiple neck bones, tail, breasts, ears and much more. Duplicate or remove limbs to rig spiders, centaurs... or whatever! The picker panel dynamically updates, so you can select any bone from the separate panel easily. The Remap feature allows retargetting of any armature action to another one, with different bone names and bone orientations, supporting imported .bvh/.fbx armatures for example. It's universal: works with Auto-Rig Pro, Rigify, custom rigs... Define the source armature, the target armature, and the animation will retarget according to the bones names matches and bones original orientation. It support IK feet, hands for accurate motion tracking, and an interactive offset tool to remap to different characters proportions. 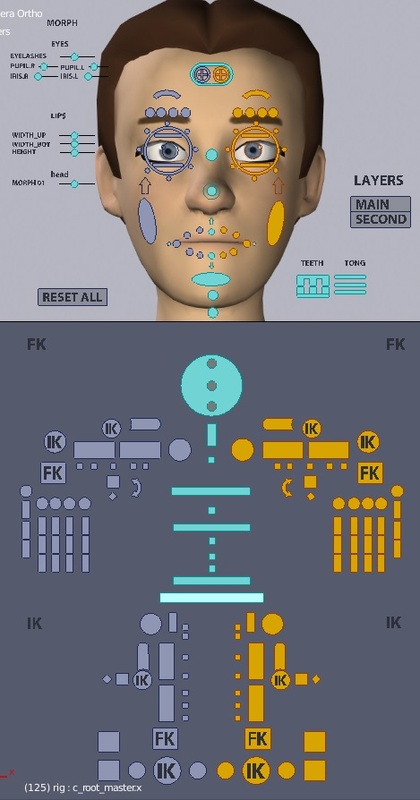 Additionally, to animate over a motion capture action on an additive layer, check the additive keyer addon (free)! Auto-Rig Pro allows export to FBX format via a dedicated module, to proven engines such as Unity or Unreal Engine, and probably others not yet tested. Shape keys are transferred as well. Three export types: Universal to export a simplified bones hierarchy for any creature, Humanoid for bipeds only, with options for easy retargetting and root motion, and Generic to export the deforming bones and the non-deforming ones if they are parent of the deforming bones. Bring your poses to the next level! The additive weights controllers offer a unique control over the pose. Located all along the limbs, they've been developed using an innovative system to operate on a second layer of deformation, for fine pose sculpting, cartoon effects, bending, stretching, etc. Two deformations mode in option: Additive (exportable to FBX) and Bendy Bones. Just use them instead of corrective shape keys, or as a complement. Below a typical leg bent before and after tweaking the secondary controllers. Automatic bone placement solver based on mesh recognition for bipeds characters. Asymmetrical models supported. Edit Reference Bones feature to modify the rig anytime you want. No need to redo everything if a bone is not where you want it to be. Modular: only use what you need. Fingers, toes, ears, breast, adjustable amount of spine, tail, and neck bones. Duplicate or remove limbs to rig creatures with multiple arms and legs. Bone picker: Can be turned on/off, import/export presets. Customizable. Improved skinning based on Blender's heatmaps. Auto-splitting of multiple elements. Compliant with the Voxel Heat Diffuse Skinning addon. Bone remapper to retarget any armature action to another one, with different bone names and bone orientations. IK support. BVH, FBX files compliant, e.g. Mixamo animations. By buying this addon you support my work and the Blender foundation, its developers financially. A part of each sale is donated to them. It's worth a big thank you from the open source community, helping Blender remaining free and accessible for everyone! And obviously you ensure the funds for this addon next new features, bugfix. I'm making my best to constantly improve the beast, based on users requests and my own ideas. Have quick look at the release log below. You receive a notification when the addon is updated, and download it for free. Make sure to uninstall the current addon before installing the new one and restart blender. All features have been ported to Blender 2.8 API. [WARNING!] 3.41 is currently a beta version: it means it's not ready yet, there may be bugs, crashes. Especially since Blender 2.8 itself is still in beta stage! It should not be used for production and serious projects. It's only for testing and experiments, for informed users who want to play with the rigs in Blender 2.8. The latest stable release is the 3.40 version for Blender 2.79, download and use it for production usage. Rig: New "Empty" armature to build a rig from scratch, instead of starting from a biped/quadruped basis. New button to add limbs. New button to adjust the selected limb parameters. Fbx Export: The simplify value is now set to 0.05 by default, to avoid rotation issues of IK chains. This item has an average rating of 5 from 66 ratings by the community. This is an amazing plugin! And Artell has helped me personally with errors. I had spent about 70 hours trying to solve a thing that blender simply could not solve, and I even paid outside help me fix the error. This plugin took care of it, and HIGHLY recommended. Nice to hear it's useful to you, thanks! Not only does Auto-Rig Promake rigging and skinning in Blender so much more pleasant and efficient, it pretty much singlehandedly makes Blender a useful tool for doing character modeling and animation for Unreal Engine. It's absolutely a steal at this price and I'd give it more stars if I could. Be aware, though: Blender 2.8 is still changing at a rapid pace. Auto-Rig Pro for 2.8 doesn't work 100% using the current nightly build of Blender 2.8 due to some recent API changes. It was working as recently as the nightly build from a week or two ago. This is completely expected given that 2.8 is still beta (the 2.79 version still works a dream) and I was able to tweak the code get it running in just a few minutes. Still, you should be aware that if you update Blender 2.8 frequently from nightlies, features very well might break at times. I'm sure Artell will provide us with a blessed fully compatible version once Blender 2.8 becomes final, if not before. Many thanks Jeff! Yes unfortunately I'm aware recent changes in Blender 2.8 broke the compatibility, i'll be working on it, thanks for reporting. works well in 3.40,but in blender 2.8, 3.41 never works ,every time i hit the botton "go", it comes out an error report that "axis unregonized". Hello, thanks for reporting the bug. Unfortunately the 2.8 version is still very unstable and can break at any moment due to changes in Blender 2.8. Awesome addon. I love Blender, but The main Issue with the program was that it was hard to find any rigs to use, but with this Addon I'm able to rig any character I please easily and efficiently, especially Game Models that I've loaded into blender with OBJ, I was pleasantly surprised when they worked out of the box without changing the mesh to quads. Thank you for this Add on. It was everything I wanted and more! Can't wait to use it in Blender 2.8 when the Final version releases. Probably the best add-on of this kind, at a great price. Simple to use. The developer is ready to clarify any doubts. I advise you to view the clear and complete documentation before contacting the developer, you may immediately find the answer to your problem. Thanks for sharing your opinion Tommaso! Great add-on! I love the smart feature, just a few clicks then an armature matching the character be generated, which will save me a lot of time. Thanks for the feedback Mingfen! When reporting the bug, a renewal has come in 15 minutes. Bugs are treated as a priority, thanks for reporting the issues! It's amazing! Remember to read documentation of installation and check blender set up "auto run Python Scripts", I didn't click "auto run Python Scripts" at first so the software doesn't work well, after I read documentation of installation and check blender set up "auto run Python Scripts" , it works and it's amazing! Recently I bought this plugin as I needed to rig various creatures for an Augmented Reality game I am making with Unity. When I started I couldn't get it to work, so when I reached out to customer support I was simply amazed. Within the hour I got various responses with all sorts of suggestions. After a few messages back and forth my issue was solved the same evening! Conclusion: great customer support and the plugin saves me loads of time! I still have lots to learn as the plugin has quite the options but so far it's been awesome to work with. Hats off to the author, you rock! Thank Christiaan, glad the addon is useful to you and I hope your project is progressing well! I bought this add-on only for UE4 skeleton making and exporting. It will be much better if there is just only the essential bones for UE4 exporting. and it is hard to use with complex bones hidden in many other layers. Binding with the default Blender automatic weight is easier to use and control and good enough for UE4. I understand that you wanna give more functions for the users, like sophisticated binding and controlling. And many users like your way of binding and controlling bones. Still there should be other users who like their own way of binding and controlling bones. But this add-on forces users to use only the binding and controlling system within the add-on only. I wish you give users more right to select options. the basic UE4 essential skeleton making and exporting menu should be default. And the complex and sophisticated binding system should be optional so that users can decide to use it or not. Thanks for the add-on and waiting for the next version. This tool is very good that you need to equip game characters. Many thanks to the author. The question arises. Will the addon be updated to blender 2.8? A must have for rigging in Blender, and moreover if you're working in the game industry ! The export to Unreal Engine and Unity is wonderful and the rigs very weel conceived. The auto smart rig is useful, precise and really intuitive. Thank you Alexandre, glad this is useful to you! Super fast update and added function for root motion just today! i like your addon. best addon for rigging. Davide it's always great to see user projects made with it, thanks for your feedback! Thanks for leaving a review Kevin! Even better than I expected (and I'm really new to blender)! The add on is really easy to use and the documentation is very well explained. In a few hours I had my character working perfectly in Unreal Engine. I'm really happy with it and recomend it to any rigger or animator interested in migrating to blender! This is just the best thing ever happening to Blender, I can't imagine myself working without this now! I had a little bit of confusion using it but Artell answers all your questions. I've been reading some people reviews complaining about how bad it works but that's not true, just read the documentation, take your time to understand the add-on and ask Artell if you need anything. I have to create some small animations for a job and this is saving my life right now, could not be any more happy, one of those add-ons you just need always in Blender. Thanks, I'm glad this is helpful to you! Cheers! I use this very often and I find it is an amazing add-on, saves me so much time and it is reasonably priced. The interactive tweaks are an amazing feature, I wish retargeting long animations (12,000 frames) would take less time somehow and a global / local option in tweaks. Thank you nirblu, indeed I wish I could improve the baking performances when retargetting. I'll keep this in mind, don't know yet if this is feasible in a near future, but thanks for your feedback. Great Tool. Only tool i found works better than MB. I've applied this add-on to many different types of characters. Most works satisfactorily. Sometimes I get results different from what I wanted, but I can fix it manually. Plus, if there is something I do not know well, I can ask the developer Mr. Lucas, he quickly answers. Personally, I feel the price of $ 40 is too cheap. Thanks for the feedback shark. Works really well - an impressive piece of work that makes the rigging workflow pretty much painless. Well thought-out rigs, and a very supportive and responsive developer. Well worth the money. Thanks ahmad! The multiple neck bones feature is now there, simplifying the process. Was a great addon when I purchased it a year ago and has only gotten better and better since then, the new finger detection works very well and the fbx exporter simplifies the export process to Unreal. Addon is well maintained, well documented, and the developer is responsive to bug reports and support. Couldn't ask for more. Thank you jordanb, glad you enjoy! It works great! So much time reduce. I followed up video tutorials but somehow head box to control head does not come out on my env. Like "Auto-Rig Pro: Export as Mannequin for Unreal [v3.25]" movie. Is there any tips/settings or something? Hello, the head box shape has simply been replaced by a circle on top of the head. Note you can change any shape though, by clicking "Edit Shape..." Thanks! Works out of the box, does what it says it does. It let's me rig faster than I could with better results than before. The rig is really nice and has the open/close hand controls which really help when I'm not explicitly animating hands. The export to unreal works nicely and simplifies my workflow. Oh, and it has toes! Hehe yes there are toes! Thank you warweasle! Super easy to use! I managed to rig a human with some weird proportions in just a few minutes of tinkering. The author also regularly updates this add-on. Stop reading this and go and buy it, 40 dollars is a steal for what you're getting! Great addon, just a plethora of updates. Good to see the support though. I got your full version of addon i that is amazing thing! Now working with pleasure! Thanks, man to you!!! Ten stars from five! ) Respect! This addon is truly stunning. It just works out of the box so well I'm amazed. I highly recommend it to everyone interested in a very powerful and very user friendly rigging system. For me, as a real time Unity artist, getting good rigs exported cleanly to Unity has always been a bit of headache, but this addon 100% fixes all issues I've had with exporting Blender rigs and animations to Unity. Also, the price is impossible to beat. If you regularly export characters from Blender to Unity or Unreal, buy this and save yourself days work. Thanks for this positive echo Steven! I just bought Complete version today (3am) and tbh i know how to rigging a character but only basic (Not fully). So i found out that Auto Rig pro has full body IK tracking and im glad because it can save alot of time than doing it manually. Im still new with Blender (i only know how to rig)also gonna learn more by checking out your videos. Thank you! Glad it's useful to you. This is fantastic. All the lightning updates and usability makes this so helpful. And with the remap of animation... I'm still not done with my feature animation www.evewilltolive.com but I am rerigging some of my zombies using this. I also forgot, the voxel relationship is also great, I could go on and on. Did I say how much I love this add on! Artell will be a cherished anointed Blender Saint. Thanks a bunch Warren :D Good luck with your movie! Absolutely amazing tool. Found it while searching for a replacement for Mixamo's auto-rigging system, which seems to have been abandoned completely after they were swallowed up by Adobe. This is much better, and the price is absurdly low for what you get. Definitely pro level at a very indie-friendly price. Thanks for this meaningful feedback! Love this, very easy to use and clean to animate with. The Smart align tool is such a time saver and barley had to adjust anything. The fact you can adjust the bone positions at any point for a non-destructive workflow is worth the money on its own, with the standard blender rigs you lose any animation and bone grouping I noticed when regenerating a rig. Had a couple of support questions and was emailed back same day. It would be good in a future release to have checkbox to generate the UI picker objects or not if not needed for a tidier scene. Also, maybe some constraints for the in-between controls on the lips and brows so they flow together when selecting the end and midpoints. Thank Adam, I guess you're right for the picker on/off checkbox. It's definitely on the roadmap. For now, do you know you can delete the picker bones and the "rig_ui" empty and its hierarchy to disable the picker? But it's not possible to restore it easily. For me, one of the most irritating things about working with UE4 and Blender is trying to get a custom character to behave as well as the Mannequin. It's fiddly and time consuming and everything is based around it. This addon works great and removes this frustration. Not only that but the creator has been extremely helpful, prompt and approachable. Would rate this 10 stars if I could. Thank you, I'm glad the Fbx exporter is useful to you! Great add-on. Perfect Customer support. Thanks for taking the time to rate and review Ryo, very appreciated. So easy to use and a really nice result out of the box yet still allows so much customisation/tweaking. Where has this rig been all my life. When i edit a shape and apply it, it kicks me out of pose mode to object mode making me click the rig again and then going back into pose mode to mirror the shape to the other side. It's just a little long if you have a lot of shapes you want to edit/mirror. It'd be better if once you edit the shape and hit "apply" then it just puts you back into pose mode with the shape selected so you can click the mirror button right away without the extra steps needed. This would speed up the workflow quite a bit, i think. Just an idea. Not sure if it's possible, amazing work either way and you've more than earned a 5 star rating for this masterpiece. I agree, I wanted to fix that a while ago but been always busy doing other stuff and kind of forgot about it... Thanks for your feedback and this reminder, will work on it! Great add-on! The Unity export process works flawlessly, and the rig is easy to work with. I don't think I can ever go back to using Rigify or rolling my own. Speaking of Rigify, it would be nice to have a show/hide panel for the various controls (e.g. show left arm IK, hide auxiliary controls, etc.) like the one used in Rigify. Otherwise I'm very happy with my purchase. Please keep up the good work! Nice to hear, thanks! Duly noted. When learning this addon for Unreal Engine (or any game engine), familiarizing yourself with Blender's animation system and UE's import will greatly help to streamline your animation. Also, Read The Docs - take notes on it, and your problems will be reduced SIGNIFICANTLY. With persistence, I am getting a smooth animation pipeline to UE4 with facial animation. The reason why I gave this 5 stars - is because not only do I have a stable workflow now, but the Author Artell keeps this addon updated with bug fixes and new features that makes this addon worth more than advertised. Do yourself a favor, get the full version. Read the docs, and have fun. This is such an important addon to have if you want to animate characters within Blender and your game engine of choice. Many thanks for this review, best of luck in your projects! This is my first buy of a blender addon, i really impresed, great tool! Thanks for this appreciation Nick6! Bought specifically for the UE4 export. The addon works flawlessly and the remap function is super useful. Also, the customer support would be worth another five stars. Thanks again. Thanks for taking time to write this review tytiki, good luck with your projects! I could not wrap my head around all the details, but wanted to make sure that I am not forgetting to review this product. Even without that, there is a lot for that price which works very well for the use cases I tried out so far. Very much appreciated, thanks dantus! Keeps getting better and better. 5 stars for always keeping it up to date and adding new features. Few do that anymore. Thanks again! -No T-pose support (which could be a bug?) More of a "time is money" pipeline issue. For those of us who like to use Adobe Fuse or happen to have more complex meshes that have asymmetrical components, it's a fiddly and time-consuming process to go through and retool everything, especially with deadlines. You could change the pose in a program like Mixamo, but this will usually destroy your mesh topology. I'm sure it's being looked at, so for now, I am happy to just tweak stuff. These issues are minor, and really don't get in the way of my appreciation for this awesome addon. It's completely worth the money. I can't wait to see what happens next! This is a great investment! Auto-Rig Pro is getting better every version! It was hard to get it at first, but with the help of the latest videos I could make it work at its best! Thank you Claudio! Doing my best to keep it cool :-) I hope you'll enjoy. but It wasn't as satisfying as I thought. If there are Rigify, then it's enough I think. Now that I have paid, I want more advantage. such as automation into bone, such as many driver for grip. Gasp! When you buy a car, the vendor gives you a full list of the car features, you can even choose its color. Then after buying, would you say to the vendor the car is bad because now you want it blue instead of red, and want new features in it? I'm glad to give five stars. This purchase was worth it. A 1000$ worth plugin!! Awesome updates. Customer service is one of a kind A++++++. Thank you, Lucas for making Blender better !! Fantastic product, also for mocap and very great support (one of the best I had). Would rate it 6 starts if I could. I started experimenting with the autorig. And I discovered that whereas there is head lock function, I can not find where is arm(leg) lock function. I need to turn off rotation inheritance from torso to FK arm and legs. Is there a function switch on/ off rotation inheritance? Please let me now where I can find the switch. Please add it if there is none cuz I want to use this autorig. This addon does the job. Sometimes It might be confusing but... It's much faster than setting up everything from scratch. The flexibility that this addon gives is outstanding. How to use multiple rigs in one blender file? Thanks for your feedback haroldyk! When rigging a character, it's better to use one character per blender file. Then merge them into another file by appending all of the objects from this character file(File>Append). Unfortunately Blender 2.78c is buggy on this side and crash when appending, and after many trials there's nothing I can do to prevent this. Hopefully they fixed it in the latest blender build wich you can download here: https://builder.blender.org/download/ So it should be fixed in the next release too, Blender 2.79. For further assistance feel free to send a message bly clicking under the red lifebelt 'Create Message' on the right. Thanks for this cool add-on. Saves lots of my time. I can't imagine how I will work without this addon. It is time-saver in my opinion. Great stuff, well worth the money. saving me bags of time. documentation is ok but did get stuck sometimes. but Artell was there to help me through it. Thanks dd2009 , glad everything works fine now. Thanks for rating papasmurf7777, hope it will be useful to you. This add-on simplifies the cumbersome rigging process. It's not as foolproof as Mixamo, yet, but offers much more flexibility and customization. Customer support is excellent, questions are answered swift and thoroughly. Well worth it's price tag. Awesome addon! Simple to use and such a time saver. Also, if you have any questions, the customer support is top notch. Highly recommended! Love it, been looking for a rig that is this easy to use. Mostly made mine from scratch before. A little rough on the edges and the documentation vids are decent, but the rig is really good in quality. the updates are pretty frequent and hope it keeps on coming. Thanks rickytv! The updates won't stop... I don't know if you use the Remap (motion capture/ any rig retargetting) tool but I've found a way to automatize the axis orientation and order part wich currently take a few minutes and may be tricky to do. If everything goes well, it will be instant and easy. There is a bug and it does not work properly. I will be forced to quit so it is very troubling.